ICTBroadcast is multi tenant, unified communications and telemarketing software solution supporting Voice, SMS, Email and Fax broadcasting. Suitable for small business owners, entrepreneurs and Service Providers. 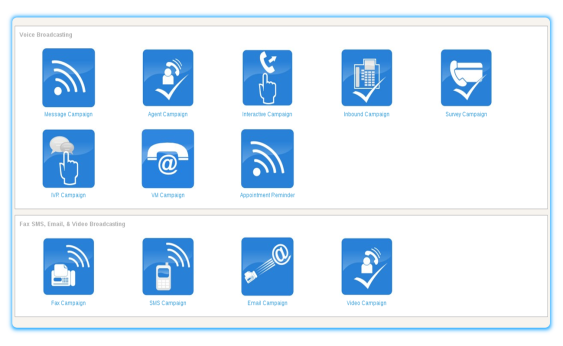 ICTBroadcast offers smart auto dialer capabilities. It enables service providers to offer a wide range of broadcasting services to their users. It can be scaled to blast thousands of simultaneous calls using either VoIP or PSTN and fits most voice broadcasting scenarios. It is simple, reliable, powerful and provides a user-friendly web portal for effective and efficient communications management. ICTBroadcast Enterprise Edition is multi tenant unified auto dialer software solution suitable for an organization's personal telemarketing needs like marketing their products, communicating with their employees, managing their sales process and updating their customers with organizations updates. 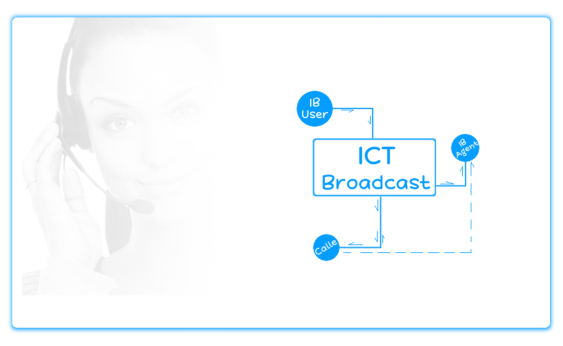 ICTBroadcast is suitable for all kind of business, It also features interactive voice broadcasting , fax broadcasting, SMS messaging, call center integration, campaign management and scheduling. AMD (answering machine detection), DNC (do not call) and much more. ICTBroadcast is fully Turnkey B2B telemarketing software solution that helps ITSP's to maximize their business productivity. ICTBroadcast service provider edition is for internet telephony service providers / telco carriers that enables them to offer Voice, SMS,and Fax broadcasting and various advance telemarketing and mass communication services to their prospective clients across the globe . ICTBroadcast is a web based multi-tenant package that offers separate web portals for Admin and users, and facilitates complete campaign management. 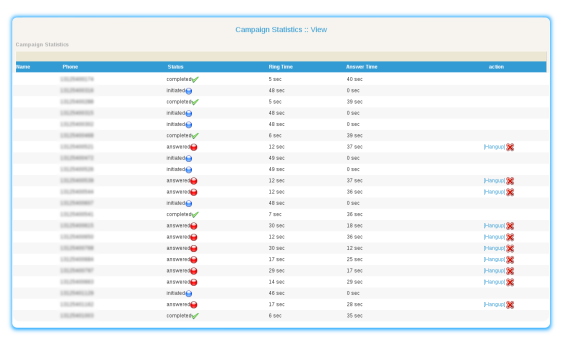 Each user can manage, monitor, and run multiple campaigns separately and independently. 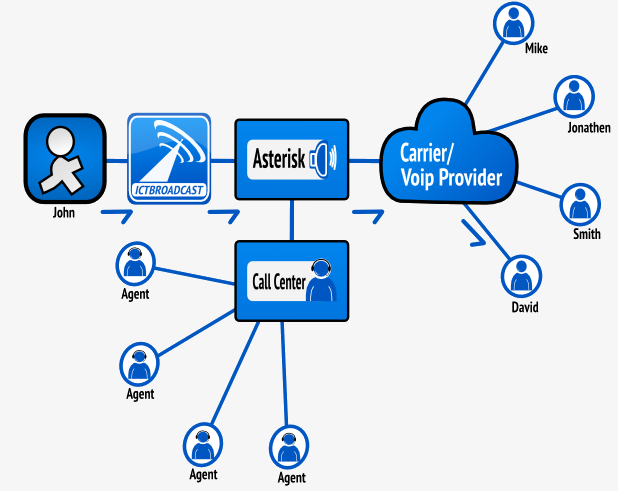 ICTBroadcast is a unified communication auto dialer and telemarketing software. It supports bulk Voice, SMS and Fax broadcasting. 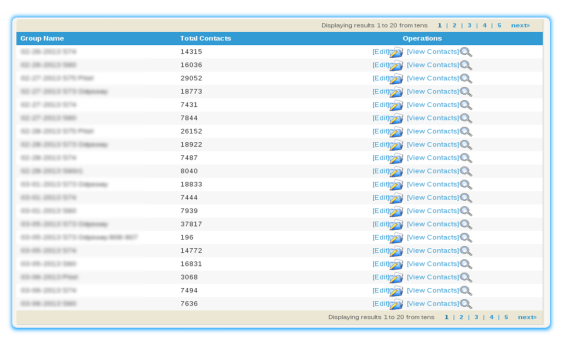 details of those who answered your call, and of those where the call failed (due to Busy, No Answer, Congestion, Unknown error). You can export these contact lists for further processing. resources in an efficient and easy manner, including assigning or de-assigning extensions and DIDs to users. ICTBroadcast offers a survey campaign feature that enables you to run voice-based surveys asking recipients multiple questions, and then creating useful reports from the survey responses. ICTBroadcast, Auto Dialer software has a survey campaign for telephone surveys and polls. This auto dialer software automatically dials a list of numbers and asks them a set of questions that they can respond to, by using their telephone keypad. You can schedule when to make calls, record your questions using ICTBroadcast voice recording features and run campaign. 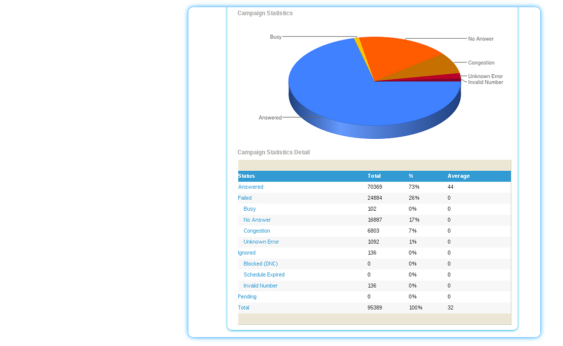 You can view graphical charts and reports for your survey campaign and analyze recorded responses from your prospects. ICTBroadcast provides a complete monitoring system. 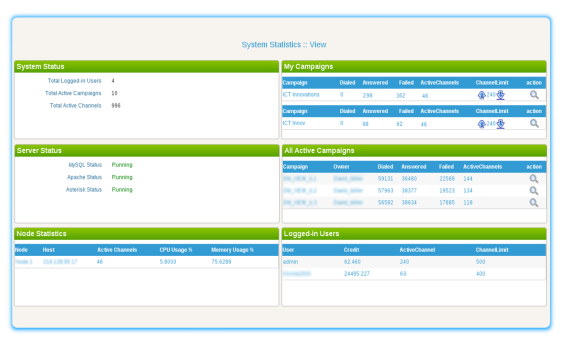 Admin can monitor active users load, live calls and gateway loads, as well as system and campaign statistics. ICTBroadcast is bundled with a web-based IVR Designer enabling you to design your custom IVR menus as you choose, with our simple Drag and Drop feature. ICTBroadcast then plays these IVRs to your customers. ICTBroadcast boasts an excellent contact management and filtering system. 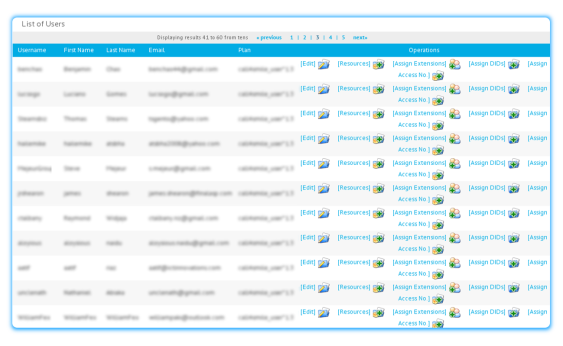 You can categorize and manage contacts destination-wise, filter duplicate and invalid contacts, and also import contacts from external files in CSV format. You can schedule campaigns and can set a campaign to start and stop on a particular date, or time, as well as setting days of the week. 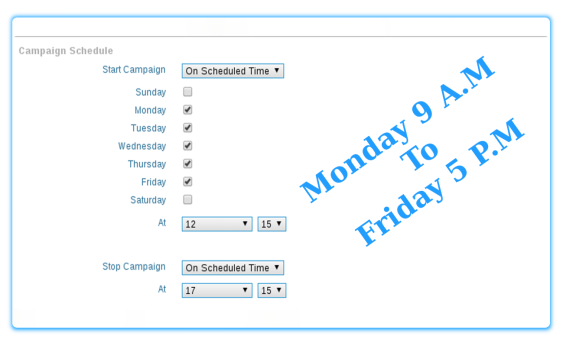 Campaigns will automatically start and stop on the specified day and time. ICTBroadcast includes basic call center functionalities and can be integrated to work with an external call center for further support. IctBroadcast provides all the functionalities of a Call Center. Wheather its an automated Inbound Call Center or an automated Outbound Call Center you can use functionalities of both with this autodialer software. ICTBroadcast offers multiple campaigns.  12 types of campaigns are being offered i.e Message Campaign, Agent Campaign, Interactive Campign, Inbound Campiagn, Survey Campaign, IVR Campaign, Appointment Reminder Campaign, Survery Campaign, Fax Campaign, SMS Campaign, Email Campaign, Voice Campaign. Call queueing support is provided in ICTbroadcast and you don't need to integrate any other third-party call queuing system. Press 1 Campaign also known as Interactive voice broadcasting can be created in simple steps. On presseing 1 it forwards the calls to Agents that were in a queue. A Web phone is WebRTC based phone that allow agents to receive calls only using their browsers, without any additional hardware or software. ICTBroadcast offers integrated web phone for agents. Not only can it receive forwarded calls, but also enables agents to perform following actions. ICTBroadcast has built-in support for Answering Machine Detection (AMD). 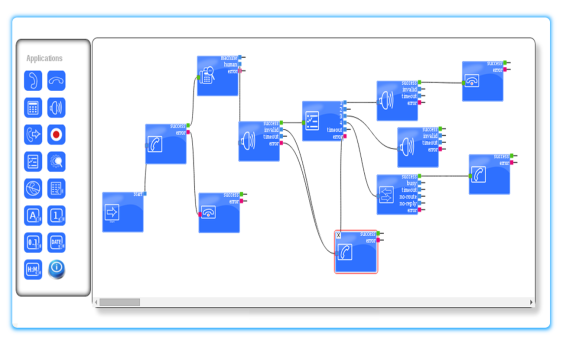 ICTBroadcast incorporates Answering Machine Detection, enabling you to hang up calls on AMD detection, or leave different messages for answering machines, according to requirements. 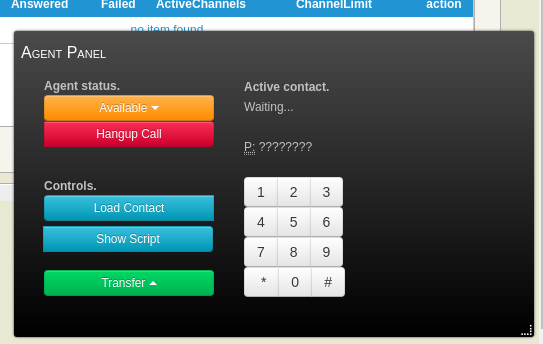 ICTBroadcast allows you to upload Do Not Call (DNC) contact number. If you want system to not dial specific numbers, you can add these numbers in the Do Not Call (DNC) list and system will exclude them when the campaign runs. This list can be populated manually as well as automatically when a call recipient chooses Do Not Call (DNC) option. ICTBroadcast provides a complete route and rate management system. You can manage destinations, configure routes, and set destinations rates and tariffs. ICTBroadcast has integrated CRM. It organizes customer information and documents in a single database so that business users can easily access and manage it. ICTBroadcast Rest api offer opportunity to integrate with any open source CRM's like SuiteCRM , SugarCRM, EspoCRM, Yetiforce, Vtiger, flatefree, flarepoint CRM with ease. One of the many benefits of running the ICTBroadcast system is the flexibility and degree of personalization that the system allows. Dynamic messages or Tokens can be programmed to run via the auto dialer during a campaign tailored to your existing client database or as part of standard operating procedure.